The Class of 2022 got its first taste of Haverford political controversy on Sept. 8, when President Kim Benston sent an email to students and faculty addressing an incident in which graffiti threatening Trump supporters had been found on campus. According to the email, the graffiti appeared in a bathroom stall in a public building on campus. An investigation is currently being led by Director of Campus Safety Tom King, and there is indication that potential suspects have been identified, according to one source familiar with the matter. 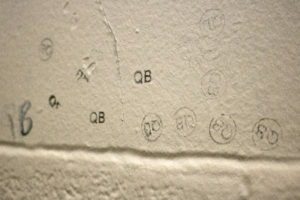 Based on the Clerk’s reporting, the graffiti was found in one of the KINSC bathrooms. 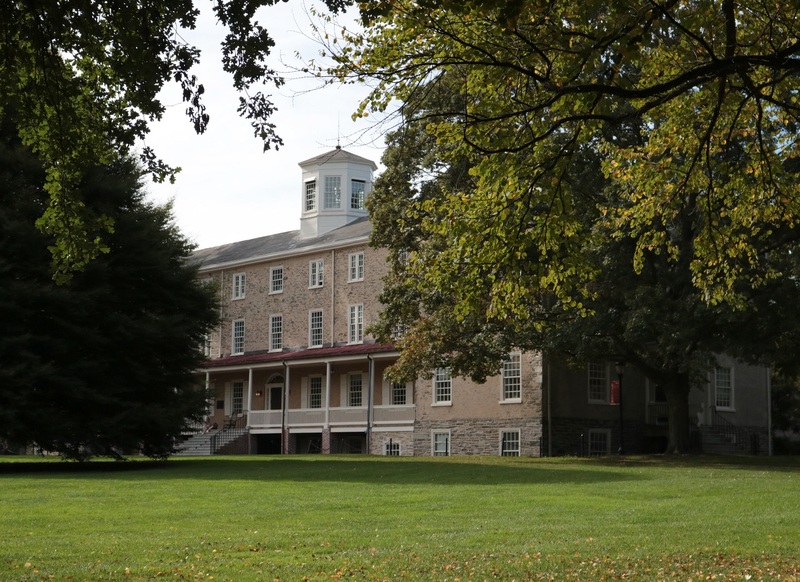 The Haverford College Republicans, which have recently tried to revamp their image and presence on social media, were frank in their assessment of the situation. “I think it’s just general knowledge that people would not accept you as part of the Haverford community if you were openly a Trump supporter,” said William Karp ‘20, who serves as a co-head for the group. “From our perspective as a club, we think that’s pretty messed up I guess. Our general theme [for] the club is that to be the true intellectual community that we want to be, I think you can’t start generalizing an ideology and shutting it out. It sounds cliche, but you don’t know what you’re missing if you don’t hear it.” He added the College Republicans invite anyone to come to their meetings. 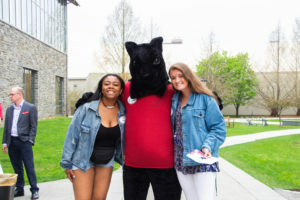 Given that the vast majority of Haverford’s student body has left of center views on politics, Karp said that the lack of outrage among students does raise the question of a double standard. Students who dislike President Trump and his policies have also been critical of the graffiti and similar statements making threats against conservatives. Overall, however, the student body’s reaction to the incident thus far has been muted, which could be a sign that this incident is not being regarded as extreme. “Reading the email… I wouldn’t expect a different response from the president,” said Amanda Grolig ‘19. She added that she thinks it is important to focus on how the situation is handled. Rather than punishing the perpetrator of the incident, she suggested finding different ways to address the situation. “I would hope that we would treat this in terms of community healing, like thinking about what the community needs, rather than say ‘We need to punish people.’ I don’t know, I think many members of this community, myself being one of them, would not want to see the people who wrote this get separated from the community, or be severely punished.” It should be noted that Grolig in no way defended the idea of physically threatening Trump supporters. “I do not think that threatening Trump supporters is a productive direct action,” she said. Professor Mendelsohn has also expressed concern that campus culture has affected what is said in the classroom. The issues of free speech and political ideology also resurfaced last spring. There was a great deal of controversy at special plenary when students debated whether the social code can or should protect political ideology as well as race, gender, and sexual orientation. A small group of students who “came out” as conservatives were met with overwhelming derision for what was perceived by many students as a minimization of the challenges of students of color and LGBTQ students. Political activity on Haverford’s campus generally has been on the rise since President Trump was elected in 2016. The formation of new groups such as the Bi-Co Anti Capitalists, increased activity from the Haverford Democrats, efforts to get more students registered to vote, and the renewal of the Haverford Republicans have all been indirectly related to the political environment that is affecting colleges across the country.